At Garage Door Repair Burlingame we understand the importance of getting repairs done as soon as possible. Our garage door company offers same-day repair services for doors and openers of all kinds. Our team is comprised by highly trained professionals who are happy to do any job, big or small. So give us a call today. Our garage door repair services include a variety of tasks such as replacing door panels, repairing openers, replacing springs, fixing tracks and even doing a little maintenance to keep things in working order. We will install any replacements with accuracy and care, to get your system working perfectly every time. Replacing your door springs is essential if you want to keep your door in safe working order. 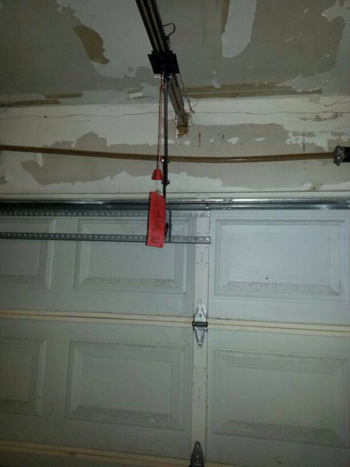 A single or two springs should be used at all times depending on the door's requirements and should be in great condition to support the weight and action of your garage door while still keeping it balanced. Should a single one break, you should have it replaced immediately. Our technicians will make the job look easy, and have your system safe to use again in no time. Sometimes your spring will simply need to be adjusted in order to keep the door steady while it moves. Should you need to replace your garage door tracks, we are the team for the job. Have one of our technicians assess the damage and repair it, so that your door can once again move smoothly and easy, whether it is automatic or not. So the next time your doors are giving you trouble, be sure to get it fixed that day by our technicians“Garage Door Repair Burlingame”. Give us a call today to find out more, or send us a note online. We're at your service.